Why We Do What We Do"Exercise your mind and body. It's all about you." We believe that EVERYBODY, not just the gym elites should have access to the right kinds of training to get the BEST results. In our opinion, a mix of strength & condition training and high intensity training far outweigh any other forms of exercise when health, body composition change and longevity are your goals. Unfortunately, this type of training is more complex than conventional gym programs handed out and therefore is not taught in commercial gyms. We feel that these workouts should be provided in a SAFE and comfortable environment where our clients do not feel intimidated when they walk through the doors. Commercial and mainstream gyms can be very intimidating places, especially if you are new to exercise. It is sad that a lot of people feel too intimated to venture into the weights areas of these places and generally end up seeking safety on a treadmill or cross trainer. Our aim is to eliminate this by providing a safe and comfortable environment where ALL people can feel empowered to workout correctly and effectively under the supervision of our highly experienced coaches. We believe that MOTIVATION and SUPPORT are the keys to success. 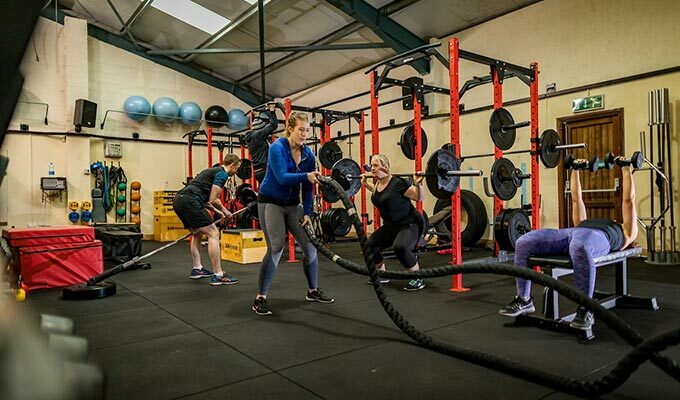 The most important thing to know about 360 Fitness training in Kilkenny is that it’s all about you. We provide tailor-made fitness and nutrition plans for each individual, and we’re with you on every step of the way through your fitness journey. That everybody, regardless of age or ability, can improve their fitness. That physical health and fitness should never come at the expense of psychological and emotional well-being. That exercise should be enjoyable, effective and an efficient use of time. That dietary advice should be about creating sustainable habits, tailored for you. We are ethical. Unlike some others, we never exploit vulnerabilities or insecurities to sell our services. We are sensitive to psychological factors and are considerate and understanding when interacting with you. We always focus on the positive by considering your individuality, ability and progress. Overall, our aim is to educate our clients on the importance of PROPER body composition change. That can be in the form of weight loss, muscle gain, or both. We don’t want you pre-occupied with the number on the scales – which is often the least important number. At 360 Fitness, we will focus our energy on more important things such as reducing body fat while maintaining or building muscle tissue. With our tailored plans, specific to your individual body type, you will achieve results in the shortest and healthiest way possible. 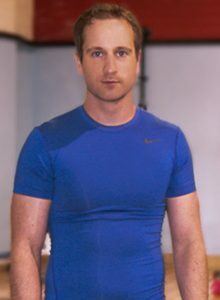 360 Fitness was founded in 2013 by Ciarán Clear. Ciarán is a qualified fitness instructor and personal trainer who previously worked for years in a busy hotel gym in Kilkenny. He strongly believes to achieve your health and fitness goals, you must work on both nutrition and exercise. This is best achieved with the support of a committed and approachable coach. That is exactly what Ciarán can be for you. Ciarán’s vision when establishing 360 Fitness was to provide exceptional fitness instruction and nutritional advice. He also aimed to do this in a climate of care and consideration. His mission is to empower and educate his clients to develop sustainable habits for life.